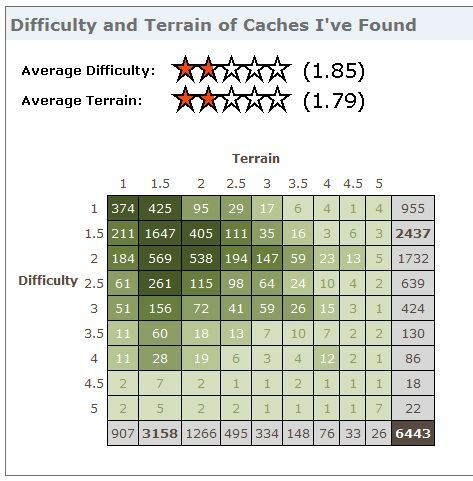 This is a geocaching stat that for many others is simply a spreadsheet full of pretty boxes and for many years that was exactly what I thought of it. 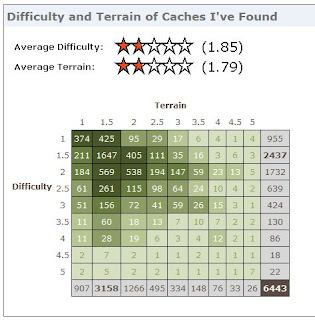 The term well rounded geocacher comes from a geocacher that has completed every possible difficulty/terrain star rating given to a geocache. The matrix of possible combinations totals 81 possibilities. Most of the caches hidden around the suburban area are in the range of 3 stars and for most finders these can be achieved fairly comfortably. 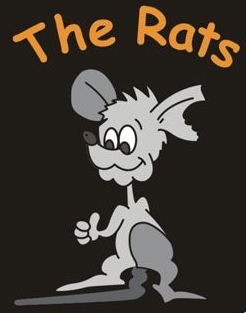 It’s when the star rating gets into the higher numbers towards 5 and the various combinations that the likelihood of achieving a successful find is greatly reduced. Likewise the number of caches hidden with these possible diff/terr ratings is greatly reduced. Over the past few years I’ve been taking more of an interest in trying to complete the matrix. I’ve been searching out particular caches that filled a diff/terr combination. This has led me to do some pretty spectacular caches, both in difficulty and terrain. At this point in time it would be unfair of me to list my more favored caches in case I left out one. For the past 4 months I’ve had one more cache to find to complete the matrix. It was a 5 terrain, 4 difficult cache and to my surprise there were only 4 or 5 of these in the whole of Australia, with my closest being some 1100km from home. As luck would have it, last week we drove within 100km of one of these rare caches. So after a bit of negotiating with Leonie a plan was executed. On the 18th July I set off from our Gold Coast apartment in an attempt to find GC171JB Gemini I. This geocache lies atop of a Glasshouse Mount. It only has 15 finds which is a good indication of the difficulty it takes to find this cache. For me, the morning was dogged with rain scrawls, fog and slippery rocky conditions. An off-track bushwalk encompassing a 350m change in elevation was going to be a challenge. 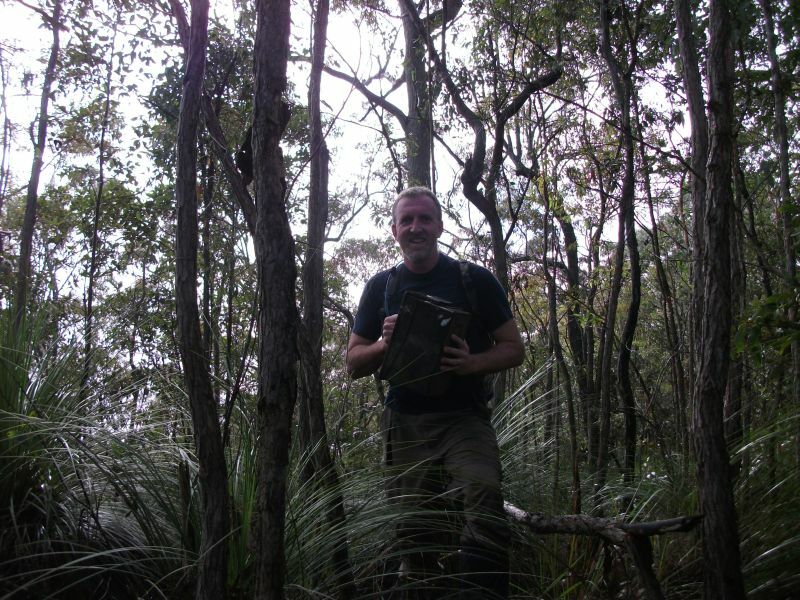 An hour after starting my walk I was opening an ammo tin atop of Mt Tunbubudla with as much joy and delight as when I found my first cache. 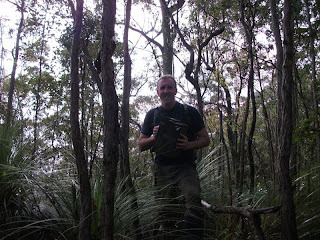 To complete my “well rounded” matrix by doing this type of cache (hard bushwalk) gave me so much satisfaction.